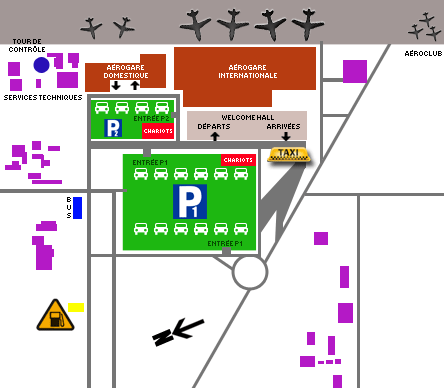 Abidjan International Airport is located on the territory of the municipality of Port-Bouet, south-east of the city of Abidjan, on the edge of the Atlantic Ocean. Rapid access to different parts of the Ivorian city is provided by fast boulevards connected by interchanges (Airport Boulevard, Giscard d'Estaing Boulevard, Bassam Express lane, De Gaulle Boulevard, Boulevard de la Paix). 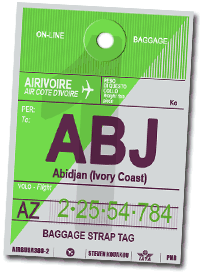 Numerous hotels are available around the airport : business hotels and residences in Abidjan, tourist hotels in Grand-Bassam and Assinie.